This is officially the start of my second year in human nutritional research and analysis. To be quite honest, at times I question the merit of exploring this field. However, I was recently reminded of a Marcus Garvey quote: intelligence rules the world and ignorance carries the burden. For me, that rational is reason enough to continue. Over the past year, while developing the concept 21VIED, I experienced a tremendous amount of growth. And through it all, I amassed a lifetime of invaluable skills. 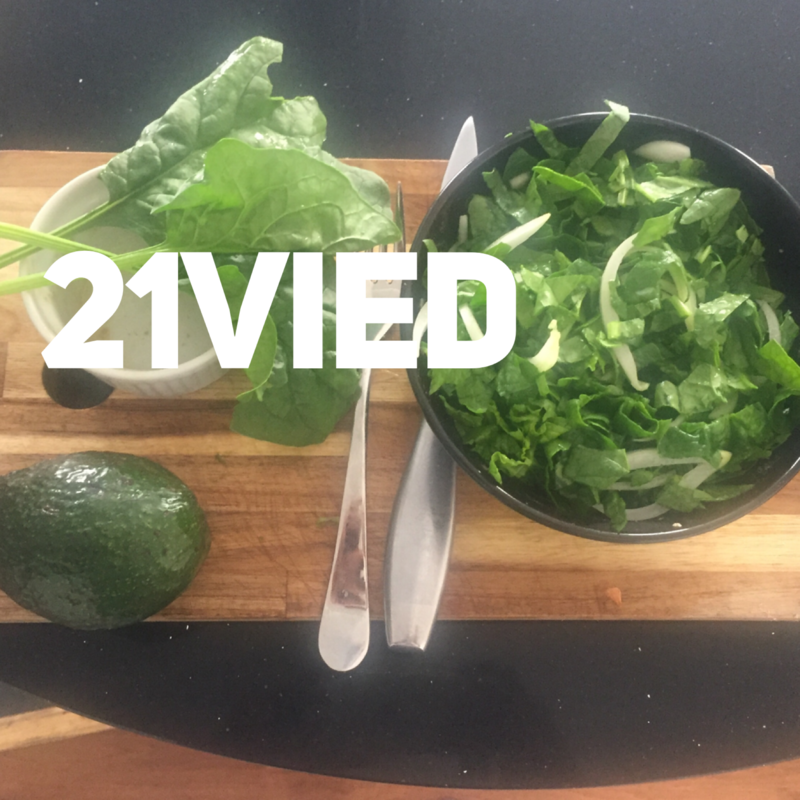 Initially, I wanted 21VIED to be a voice that reverberated both historic and contemporary nutritional related material. Throughout the second year, I do intend on following a similar path, however I will traverse more mindfully. Lately I have been contemplating the concept addiction and it’s legacy in the 21st century. Naturally, I began to explore addiction from an evolutionary perspective. I also started to question the etiology of addiction, and whom it primarily affects. To be brief, what I have concluded is addiction afflicts individuals who are particularly prone to stress, boredom and/or ignorance. Vegan lentil patty and bun w| spinach and avocado topping. Baked sweet potato fries and Jamaica style lentil patty. From a human developmental perspective, it is quite interesting to observe how an infant reacts when his parent/guardian leaves him behind for work and/or other responsibilities. The reaction is generally one of ecstatic crying and convulsions. To the keen observer, it is quite logical why the child would react to that unwanted event with great fervor. To pacify the child, cows milk (which in essence is only a unique combination of fat-sugar and salt) is offered by the genial babysitter. Another common elixir to this unceremonious interaction is media in one form or another. Friends, here lies the initial admission ticket, to the addiction rink. From a neurological perspective (and for complete transparency, my knowledge of neuroscience is primarily limited to the 7-8 books I have read on the topic, as well as the TED-talk and Youtube videos that I have watched) the neuronal association that this infant is developing looks something like this: Mom|Dad leaves: STRESS. STRESS- REDUCTION: a highly addictive combination of fat-sugar and salt, otherwise known as baby-junk-food or mind numbing programing, known as social media. After I internalized that concept, streams of doubt started to rush in. How is it possible that a rational human would feed their children addictive food items or even expose them to un-reseached media programing? I decided to address the former half of the question, I did so by conducting my own social experiment. I began by sparking a conversation with my American friends at dinner, the topic at hand, our juvenile eating habits. One friend disclosed that she generally ate all she could from the food offered. She even ate at times when she wasn’t hungry, simply because at certain times of the month, there wouldn’t be enough food for her and her siblings to be adequately fed. Another friend confirmed a similar pattern and the same was also true for the four other individuals I asked. I honestly found this trend to be somewhat interesting, my siblings and I, ate only when we were hungry. Something else that I found striking, was the recurring theme of food (when it was available) as an option to pass the time, or a vehicle to decrease stress and anxiety. Could it be that we are addicted to certain types of food because of our cultural relationships with food, or is it more of a dependency on and affinity for the early associations we created with food? Food is often a culprit for nostalgia. But, before we continue, what exactly do we consider to be food? Jamaican style whole-wheat dumplings. Baked sweet potato with carrot and kale stew. According to dictionary.com, food is any nourishing substance that is eaten, drunk, or otherwise taken into the body to sustain life, provide energy, [and] promote growth. To take fully advantage of the benefits of food, it first needs to be digested. Initially, human digestion begins as a physical process. The incipient stage of digestion is known as mechanical digestion, which is the physical breakdown of large pieces of food into smaller pieces. When the salivary glands, which are found in the base of the mouth, are activated, the second stage of digestion begins. This is known as chemical digestion. Saliva specifically aids in the breakdown of one particular food type: carbohydrates (sugar). Once saliva is released, an enzyme (enzymes are a type of protein that speed up a chemical reaction) by the name of amylase is synthesized; carbohydrates is then broken down into disaccharide, which is a simple form of sugar. Therefore, both physical and chemical digestion occurs in the mouth. The food that is physically and/or chemically broken-down is delivered to the stomach via the esophagus. Once in the stomach, additional enzymes are released to extract the nutrients available from the consumed food. Carbohydrates, as stated earlier, is broken down into disaccharides. Once the disaccharide molecules are released in the stomach, via the esophagus, it is changed into monosaccharides by the aid of a combination of enzymes known as maltase, sucrase and lactase. Carbohydrate molecules are absorbed into the blood stream, via the stomach. Broccoli w| sweet potato wedges. Vegan squash + carrot macaroni pie. Protein, another essential nutrient found in food, is primarily digested in the stomach. After food items such as beans, spinach and red kale, which are all high in protein molecules has been physically broken down and delivered to the stomach; the enzyme pepsin chemically reduces the protein into polypeptides. This is followed by the transportation of polypeptides into peptides by the enzyme trypsin. This chemical transformation takes place in the duodenum of the stomach. Peptides are then delivered to the small intestines, where they are broken down by the enzyme erepsin into amino acids. Amino acids are then absorbed into the blood stream, via the small intestines. Lastly, lipids, another important nutrient, are primarily digested in the small intestine. Lipids are broken down by bile salts, produced in the liver and stored in the gallbladder. Lipids are further broken down by a process called emulsification where large lipid globules are broken down into smaller globules of lipid; allowing the enzyme lipase to perform it’s duty effectively. Lipase breaks down lipid into fatty acids and monoglycerides. Long-chain fatty acids and monoglycerides often combine when they are surrounded by bile salts, forming a transportive structure called micelles. The micelles deliver the fatty acids and monoglycerides to absorptive cells in the small intestine. Once the fatty acids and monoglycerides are delivered to the absorptive cells, they form tryglcerides, which are often coated with proteins (this is done to enable easy transportation in aqueous or water solution such as blood), these structures are scientifically described as chylomicrons. Chylomicrons leave the absorptive cells and enter the lymphatic vessels. From the lymphatic system, tryglcerides enters the blood via the subclavian [neck] vein. boundless.com/animaldigestion. So in essence, our bodies utilize a vast amount of energy to deliver vital nutrients to the organs of the body. Reason should follow that only the best and most nutritious food options should be offered to our loved ones, (not a cheap combination of fat-sugar-salt) if we are interested in maintaining and augmenting their energy reservoirs. Blended frozen banana w|almond milk and raisin. Food can either be therapeutic or traumatic. According to the institute of Food Technologists, Food Science (the study of the physical, biological and chemical make up of foods) draws from many disciplines such as biology, chemical engineering, and biochemistry in an attempt to better understand food processes and ultimately improve food products for the general public. As the stewards of the field, food scientists study the physical, microbiological, and chemical makeup of food. By applying their findings, they are responsible for developing the safe, nutritious foods and innovative packaging that line supermarket shelves everywhere. But if we scan the shelves of most supermarkets in urban neighborhoods, you would be hard pressed to find nutritious and holistically beneficial options to fulfill the previous dictionary.com definition of food. The fresh fruit and vegetable section or better yet, Farmers markets of the world, should be our go to outlets for nutrient rich food, not the shelves lined by the food scientists. The Institute of Food Technologists also postulate that the food you consume on a daily basis is the result of extensive food research, a systematic investigation into a variety of foods’ properties and compositions. After the initial stages of research and development comes the mass production of food products using principles of food technology – the food industry is the largest manufacturing industry in the United States. Given that the Institute of Food Technologists conduct ‘extensive food research and is considered to be the largest manufacturing industry in the United States.’ Why are they not exploring and discussing scientific studies that outline the human impact behind the consumption of highly addictive and biologically harmful food items? So to recap, we are closely modeling our eating habits off of individuals who thought it was healthy to consume beer in the morning, cold meats, and fish. Fast forward a few centuries later and the scientific community was unambiguously informed with years of detailed and methodical nutritional studies on the role of cholesterol in atherogenesis. What solution did the well meaning medical practitioners offer the nutritional-ignorant portion of the society? Cholesterol, even more cholesterol, salt and a side of sugar, and that was only for breakfast! But I digress. For breakfast, instead of the highly destructive, addictive and health averted options provided by misguided nutritionists, (about half a millennia ago) try opting for fruits such as watermelon, banana, apples, and/or pears, to break the fasting period of the previous night. In closing, I would like to leave you with this kernel of truth: the Fall is an opportunity to change old habits and recreate new ones. Start by closely investigating your life. Examine and unpack your daily decisions, encourage yourself to think deeper and more panoramically. Ask more questions, assume less. Challenge your self. Become the best version of yourself. This, and much more is your portion. So for the Fall, I encourage you to do what you Love. Eat well, but nutritiously. Exercise, but do so mindfully. And if you do Fall, fall graciously. It is currently the right time to move beyond food addiction and explore nutritional therapy. The geographic layout of Jamaica, via sliced sweet potato. I am a Jamaican expatriate. Living, creating and writing in NYC. Previous PostUncovering the veil of ADHD. Next Post(making the case for) MOVEMENT.